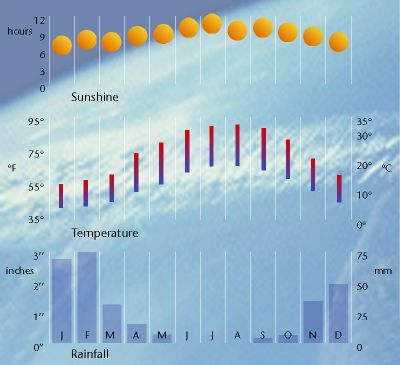 Summers in Amman (May to September) are hot and dry with cool evenings, whilst the coldest weather is in December and January with an average temperature of 10Â°C (50Â°F). Rain falls between November and March with an average annual figure of 25 centimetres (10 inches). The Jordan Valley, below sea level, and the Dead Sea experience warm winters and extremely hot summers.